The efficient and cost-effective heating of churches presents a unique combination of considerations; both technical and aesthetic. A successful church heating system will be effective, economic to run and as visually unobtrusive as possible. Traditional churches are tall buildings with a correspondingly large air volume to floor area ratio. They tend to be used intermittently and often have poor thermal properties. The combination of these factors means that conventional space heating systems are rarely practical. We are aware of churches heated by fan convector heaters, where the system needs to be energised several days before a service in an effort to provide an acceptable air temperature. This approach is clearly wasteful and costly. 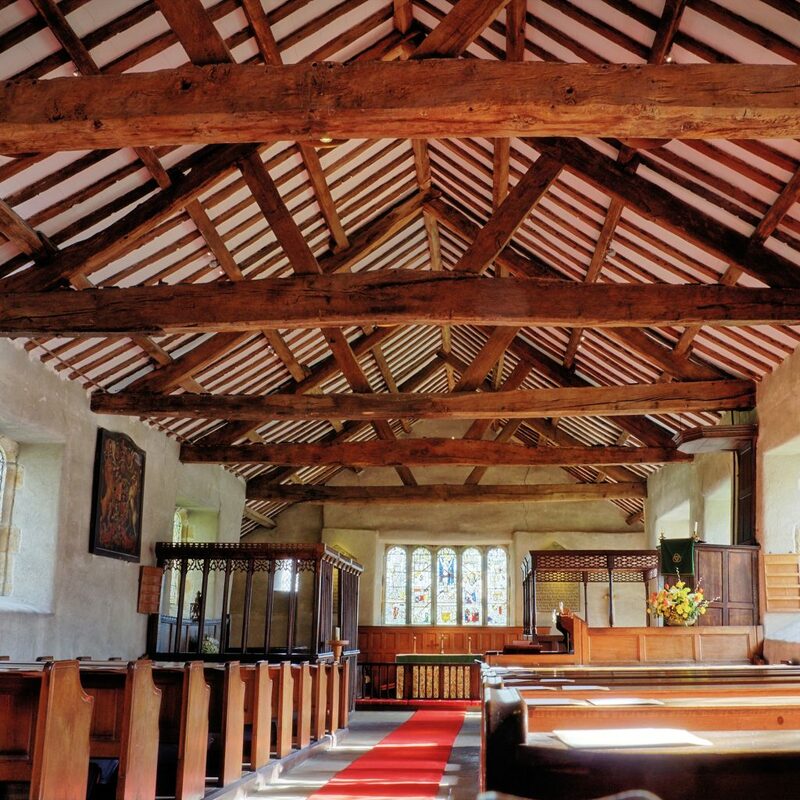 As an alternative, BN Thermic has developed church heating systems that do not rely on building up and maintaining a body of warm air but rather heat people directly. Where a church has fixed pews, we would always recommend our pew heaters. These unobtrusive heaters are fitted below the pew seats and provide gentle warmth to the congregation. Pew heaters should be switched on a few minutes before the start of a service and can be switched off immediately after the service has finished. The savings in terms of energy consumption are obvious and can be enhanced by switching off the heaters installed under unoccupied pews. Energy saving is not the only consideration when selecting a pew heating system. BN Thermic heaters have an all-steel construction, for many years of trouble-free service, and high quality dark brown paint finish meaning that the heaters are almost invisible. Pew heaters are also silent and therefore will not detract from the congregation’s experience. PH Pew Heater for unobtrusive installation under a church pew. There is a trend for churches to replace pews with chairs. This approach allows for a more flexible use of the space and allows a church to be used for a wider range of events. Clearly, however, where there are no pews there can be no pew heaters. As an alternative, BN Thermic recommends halogen heaters. As is the case with pew heaters, a halogen heating system is not designed to build up and maintain a body of warm air but will heat people directly. Halogen heaters are fully effective instantly thus preventing energy waste. Halogen heaters are generally mounted between 3m and 5m above floor level, and emit shortwave energy which is absorbed by solid bodies including the floor, furniture and, of course, people. Because halogen heaters operate in the shortwave part of the spectrum, some light output is inevitable. However the introduction of BN Thermic’s Magic Lamp reduces the light intensity to a barely discernible glow. 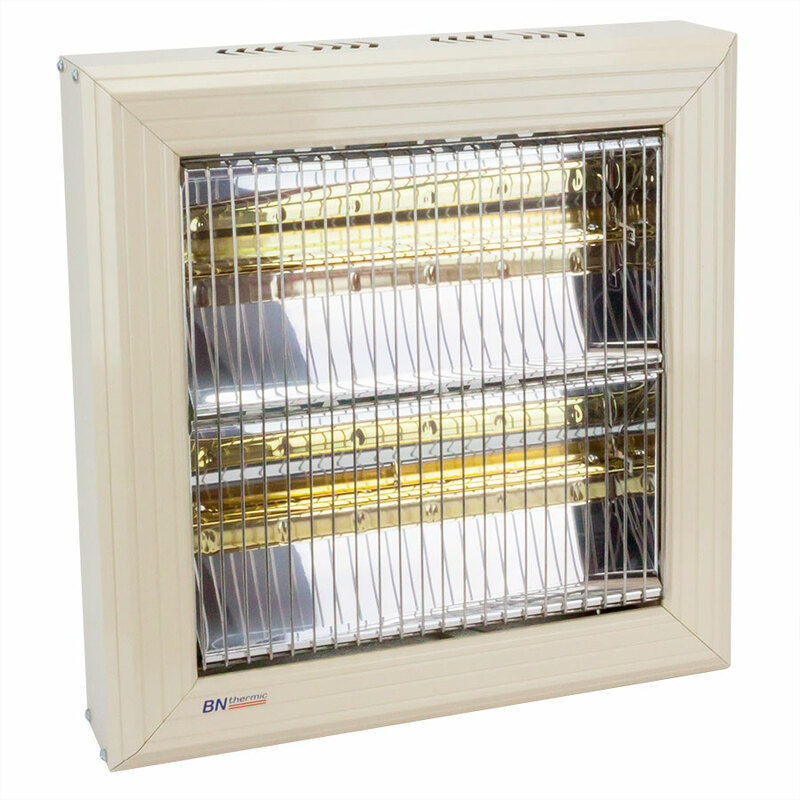 BN Thermic offers a variety of radiant heaters some of which emit medium-wave and long-wave energy. These heaters do not emit any light whatsoever. However their reduced radiant intensity means that they are not generally effective in churches. BN Thermic strongly recommends genuine shortwave halogen heaters for church heating. Halogen heating systems need to be carefully designed to ensure an even coverage and optimum heat intensity. The engineers at BN Thermic are very experienced in designing church heating systems and are always on hand to assist. When required, they will visit a church, carry out a survey and provide a bespoke heating proposal. There is a never a charge for this service.